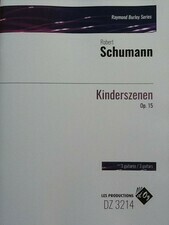 'Kinderszenen' (Scenes from Childhood) is one of Schumann's most well known keyboard works. The seventh movement 'Traumerei' being arguably the most popular and frequently played. The collection works beautifully in the setting for guitar trio.